Seth MacFarlane and his good friend Bruce Gaither will be featuring the No Fly Cone on the Shark Tank Tonight. This rather unique fly Trap is 100% green with no chemicals or attractants to attract flies to the trap. I know, your asking we'll what good does a fly trap do if the flies have no motive to visit the fly trap. This is what makes the No Fly Cone so unique. 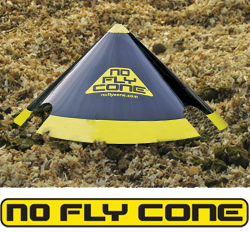 To catch a fly - you must "Think Like A Fly"
accomplished when making the first No Fly Cone. At the time Becky was pregnant and using the normal toxic sprays and smelly poisons to combat their fly problem was not an option. If you think about it, as the Gaither's obviously did, why would you ever want to use a smelly attractant that is ATTRACTING the very thing you are trying to get rid of. Instead if you think like a fly, then you will naturally go where the flies are naturally drawn to. What is the BEST attractant flies can not resist? If you have a dog then chances are the answer came to you as soon as you read that. Yep, you take a No Fly Cone and put it right on top a pile of poop. They will be visiting the pile anyway, but this glue dome will prevent them from ever leaving or breeding. Now why didn't I think of that? Where can I buy a "No Fly Cone?" With such a great idea in a market in the 10's of millions, and a Good Friend Seth MacFarlane help pitching to the Sharks, the odds are really good the No Fly Cone gets a deal on the Shark Tank. It's a product that many people already buy in one form or another and the fact it's really easy to use and dispose of, makes for a better fly trap. The fact that the No Fly Cone is a green Product doesn't hurt either. Another QVC product? I think the No Fly Cone on QVC is an excellent match. Bruce Gaither a Professional Horseman and Trainer was looking for $25k for a 15% stake in the "No Fly Cone" invention. He has been working on this project for 5 years and already has some in stores but because of the unique design, nobody knows what it is. Gaither demonstrates the product in how easy it is to catch flies without any attractant. Daymond John questions why would you want to leave the poop just to catch flies. If you pick it up, then there would be no problem in the first place. Good logic, but it's not just dog poop that flies are attracted to and I'm not sure Gaither ever got that point across. Seth MacFarlane casually enters the Shark Tank as all the Sharks pretend to look surprised. The Sharks ask Macfarlane if he is an investor in this product? No, He's just a personal Friend. They ask him if he uses the fly trap? No, he doesn't even have a dog. MacFarlane may be good at comedy but as a spokesman I think I would have to pass. The Sharks started dropping like Flies. They all were completely fixated on the association with this product and, we'll, dog poop. Macfarlane told a few more jokes but it did nothing for why they were even there. Lori Greiner actually gave Gaither the answer to possibly get a deal with one of the Sharks but he didn't pick up on it and walked away with NO Deal. My Conclusion: Fly glue strips catch more then just flies depending on the location and the attractant. You can attract flies with soda pop or stale beer for example. This would also attract wasps and hornets that could be caught and controlled on your terms where you choose to place a No Fly Cone. I'm sure there is several other good examples where you could use one of these without focusing just on the dog poop. Maybe a natural attractant added on to the No Fly Cone would be the answer to make this product more successful? Absolutely you are totally right. Totally agree. When you live out in the country, you don't always clean up after your dog. It's also great that you're preventing all the caught flies from reproducing. Thats what I also thought Elizabeth. The hanging fly traps are a pain in the, we'll ya know..The Sharks may of had a point if flies are not really an issue but for folks on the farm it is an every day occurance trying to keep these pests at bay. We will atleast give them a try. I agree with the previous comment. I clean up the excriment immediately and still there are flies in my yard. I would love to test market this - I have two large dogs (Mastiffs) that leave large piles in my yard.. I totally agree. I could sell this to every farmer and chicken keeper I know. I want about a million of them post haste! None of those guys have ever had chickens or horses, or they'd know that if you have the problem, you have the poop! I think they need to market it for the home or garage owner as well. You don't have to use feces as the attractant. You could create a smaller one for the kitchen and put a piece of fruit underneath to catch all those nasty fruit flies in the summer! Or use a small glass of apple cider vinegar under and catch flies in the garage. I think the inventor needs to broaden the applications for this product because they're definitely there! I like it much better than the disgusting fly tapes you hang from the ceiling! Smart, intuitive, economical. I hope for the best for this product. with a few changes- great. I AGREE W/SARAH BENTNER. I SAW IT ON TONIGHT'S RERUN. POOP IS THE BEST ATTRACTANT, BUT FRUIT WILL WORK ALMOST AS WELL, AND CATCH BEES AS WELL. 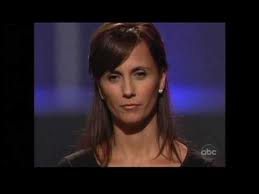 I'LL BETCHA IF YOU CONTACT LAURI AGAIN WITH THE PRODUCT AND A PEAR OR APPLE USED AS BAIT, SHE'LL GRAB IT FOR QVC. I think if the fly trap done away with the dog poo for the attraction,and use the a material 10 times the attraction of what is used for the fly strips. Then make the dome very appealing by have it in different designs. Such as, a flower design, a forest of trees design, a design that matches all different kinds of deck designs. This way the dome almost is un-noticed by you or guest. Dog poo can not be manufactured, and who wants to deal with it anyway. They miss the point on this product. 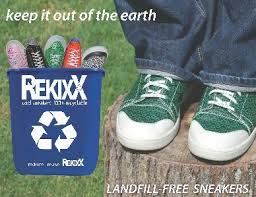 I bet you can put this in the top of any trash can and the product will still works... there are thousand o place where this will work for sure. 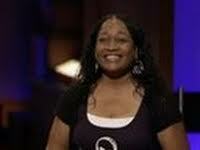 I am having problems with flies this spring and remembered the product from shark tank. Sadly, I think your price is out of range for this product. 5 for 50 bucks is way too high for an Indiana girl to pay. Fly strips are 4 for 2 bucks. I did not expect that price, but, 10 bucks a piece is not flying for me. LOVE THE idea though. Ultimately, Seth was right - he probably ruined this deal. He sold this to them wrong. You don't just need poop to a track flies I can't believe they didn't see that. I love the idea above about making these to match different backgrounds!!! I looked these up in amazon and they were 5 for $40. That's WAY to much. If they were easier on the eye and a tad cheaper he'd sell a ton!! I thought this was a great idea. His pitch should have been more to the suburban area rather than just city people. I never saw a stink horn until I moved to the suburbs of IL and the stench attracts flies because is a natural fungus that is good for your soil but smells like dog feces. This product is perfect for that.